The Ongoing Worlds website has a lot of features to help you manage the characters in your play-by-post game. This article will explain how you can customise the character list, and how the characters are grouped and displayed. 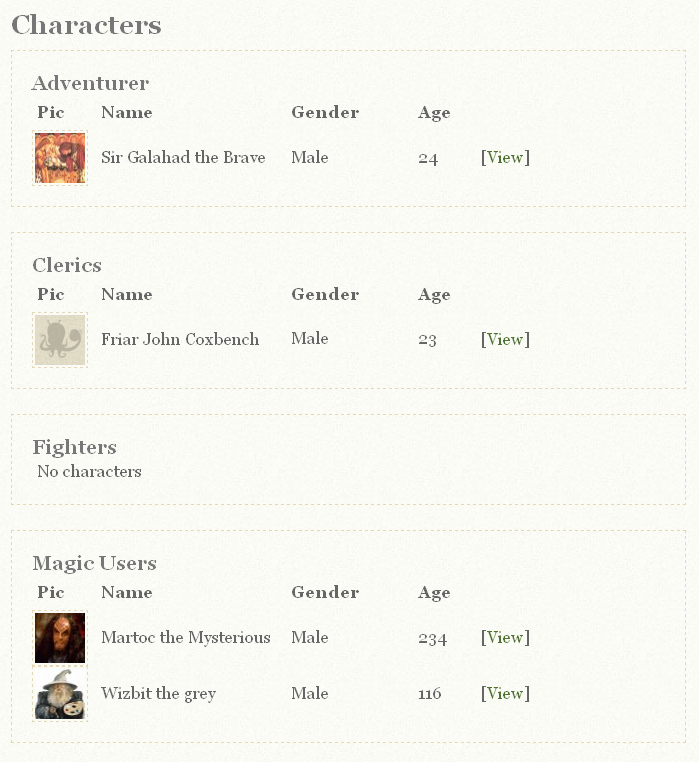 On the Characters page for your game, the characters will be arranged into groups. These groups can be edited by the GM. When a character is created or edited, you can select which group they belong to from the “Character Group” dropdown box. This will assign them to one of the groups. 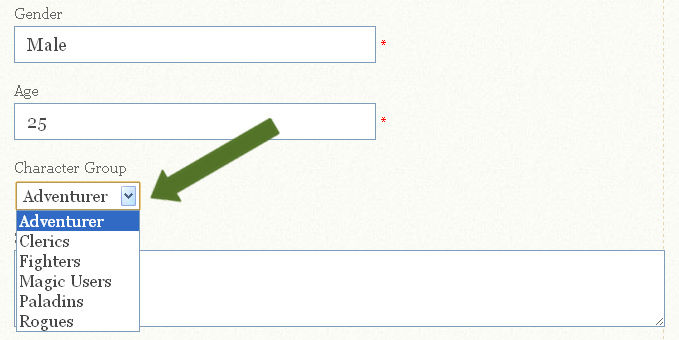 To edit the groups, make sure you’re logged in, and click “Game Settings”. 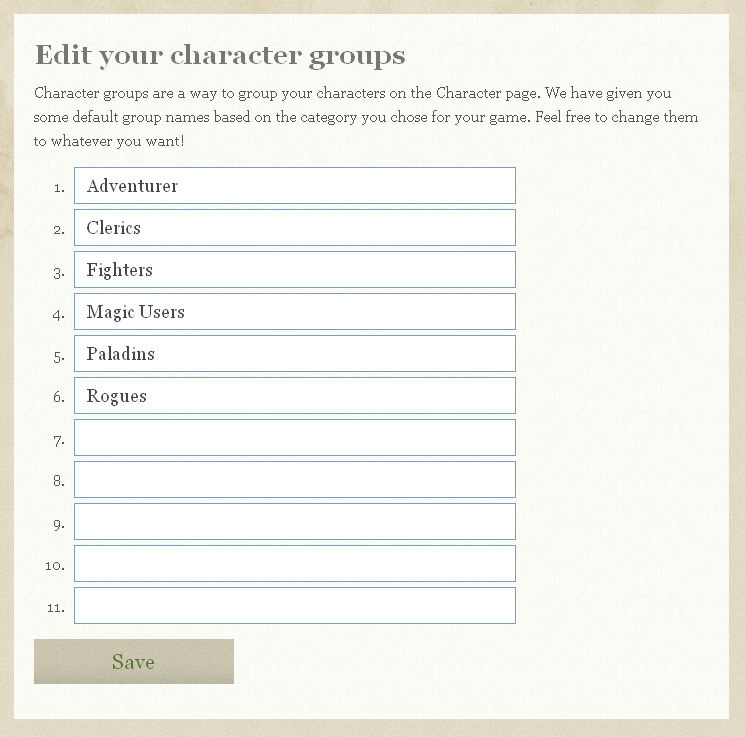 Then select “Edit Character Groups”. You’ll see a screen like the one below, listing all of the character groups. Simply write the name of the groups that you want in here, replacing any that you don’t need any more. There is a maximum of 11 character groups. Any fields which are left empty will be ignored. Press Save and go back to look at your Character’s page to see your changes. If you think this looks useful but you’re not currently running a game on Ongoing Worlds, you can create a new game easily here.